What is Low Birth Weight Baby? Babies with birth weight of < 2.5 kg irrespective of gestational age is called Low Birth Weight Baby. Most normal babies weigh 5.5 pounds by 37 weeks of gestation. At birth, most babies weigh 6 to 8 pounds. There are really nothing special to do for preventing Low Birth Weight Baby. But the following measures will surely help to prevent it. Proper nutrition, adequate rest, and avoidance of cigarettes, drugs, and alcohol will contribute to the development of a healthier child. It is often confused with premature birth. It simply refers to a baby’s weight at birth, while premature birth refers to a birth occurring before 37 weeks. If you had a low birth-weight baby in a previous pregnancy, your risk of having another is somewhat increased. But it depends on the cause of Low Birth Weight. Make sure to solve the problem before next pregnancy. Macrosomia or Large baby: 4.00 kg or more. 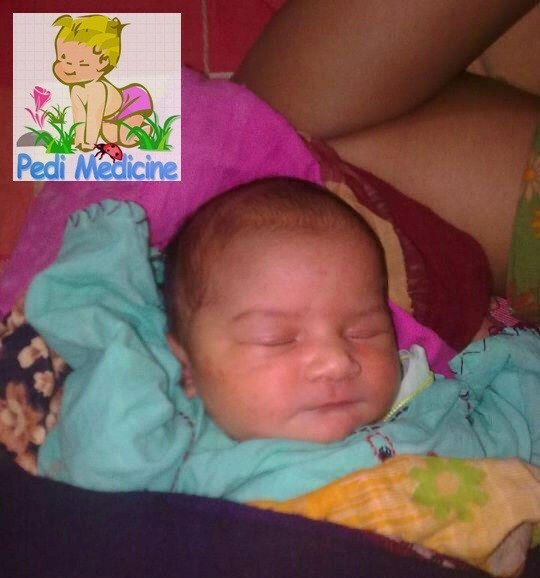 Very low birth weight: less than 1.5 kg. What are the causes of LBW? 1. Low socio economic status. Women under age 16 or over 35. Maternal activity requiring long periods of standing or physical stress. Acute or chronic maternal illness is associated with early delivery. Prior poor birth outcome is the single strongest predictor of poor birth outcome. A premature first birth is the best predictor of a preterm second birth. Fetal conditions: Erythroblastosis, fetal distress, IUGR. How to Manage a Low Birth Weight Baby? 1. Delivery in an appropriately equipped & staffed hospital is most important. 2. Resuscitation & stabilization require the immediate availability of qualified personnel & equipment. Keep the labor room warm & dust free. Resuscitation should be done in a warm draught free room, preferably under radiant heater & away from window & air-conditions. Dry all babies & wrap in a warm dry cloth. Try to keep the core temperature of the baby as close to 370C by measuring the rectal temperature every 3-6 hrs. The room temperature for a baby of 2kg body weight should be 240C, for 1.5-2 kg baby 260C & those below 1.5 kg in an incubator at 30-320C. If incubator is not available the temperature & the humidity can be maintained by use of blankets. Calories 130 kcal/kg/day, out of which 40-60% should come from carbohydrate, 10-15% from protein & 50% from fat. Preterm or premature formula milk. Breastfeed your baby. This is one of the best things you can do to help her grow up to be healthy. The management of hypotension include volume support with colloid or crystalloids, ionotropic agents –dopamine or dobutamine & steroids. Hypoglycemia should be watched, prevented & managed carefully. Usually requires only conservative management, adequate oxygenation, fluid restriction & possibly intermittent diuresis. In symptomatic cases indomethacin may be necessary & in severe cases surgical ligation may be required. Manage with careful monitoring of bilirubin level & when required by use of phototherapy &/or exchange transfusion. Infection: Avoid unnecessary handling, washing hand before handling, visitor’s restriction & umbilical care. Retinopathy of prematurity: All babies of birth weight <1.5 kg & <32 weeks gestational age should be screened every 2 weeks, commencing at 6 weeks postnatal age, continuing until peripheral vascularization of the retina. Immunization: DPT, polio, hepatitis B & Hib vaccines are given in doges based on their chronologic age. From day 1 : Inj vit. K, 1 mg IM or IV, or oral vit K, 2 mg stat to prevent hemorrhagic disease of newborn. Vit E 1mg/kg/day for first 1-2 week to prevent hemolytic anemia & retinopathy of prematurity. From day 14 : Multivitamin drops 0.6 mg/day for 2-3 months. Folic acid 1 mg daily. Elemental iron 3 mg/kg/day for 3 months. Anemia (early or late onset).